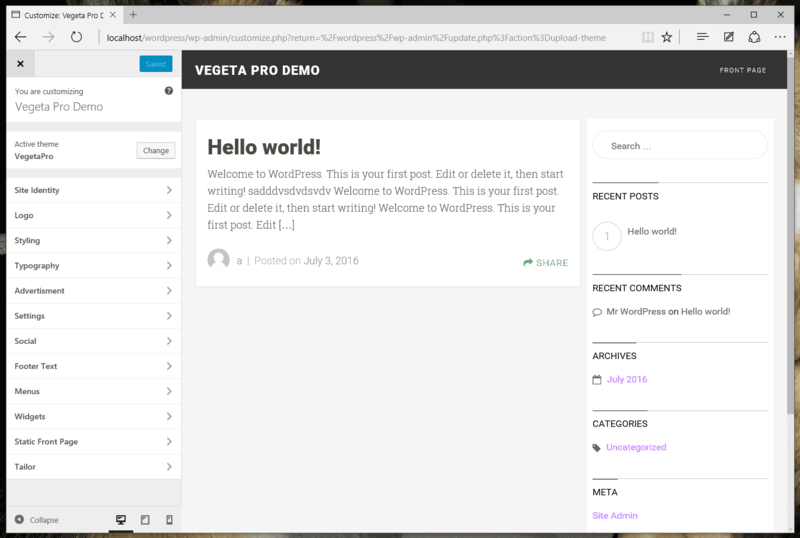 Hello Howlers, Below is detailed documentation of VegetaPro, if you face any problem related to this theme then please post it on forum our support team will respond to your post as soon as possible. Thanks for buying. Click on the plus (+) sign to create a new menu (eg. Main Menu). 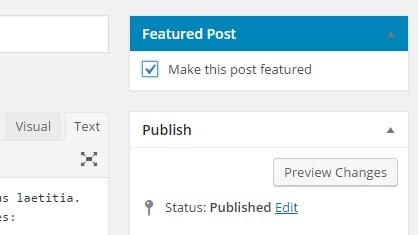 To open customizer, login to WordPress dashboard and choose customize option from Appearance tab. To upload your logo image click on logo panel and then click on upload button and select logo file from your local computer. 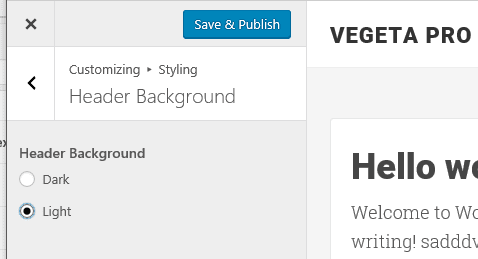 VegetaPro header supports only 2 header color, one is light and other is dark, to change header color click on Styling panel and then select Header background tab, now choose either Light or Dark option and save. To change color of Link, Buttons & Site Background, click on Styling panel and select Global Color tab and there you will find the options to customize link, button & BG color. 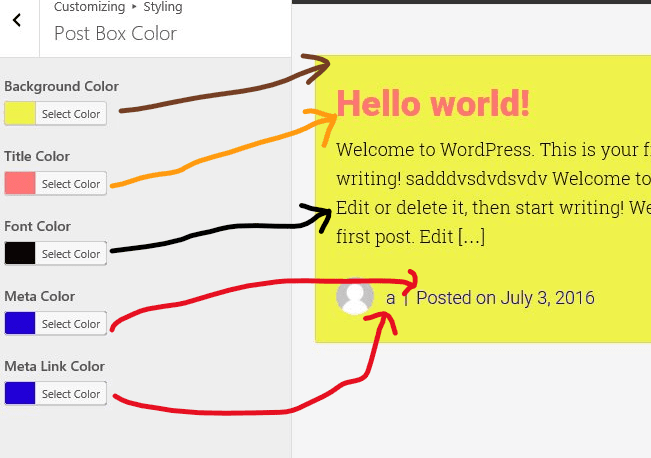 To change the color of things inside Post container, Click on Styling panel and then select Post Box Color. 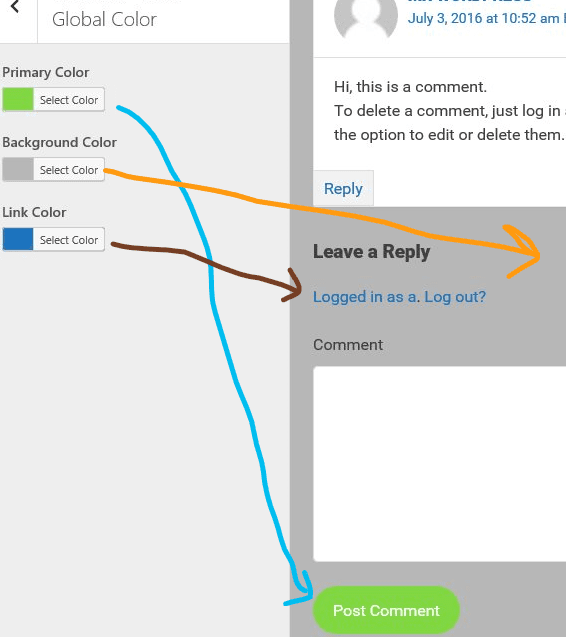 Now you can change color of Post container, Post Title, Links Inside it, & text inside it. 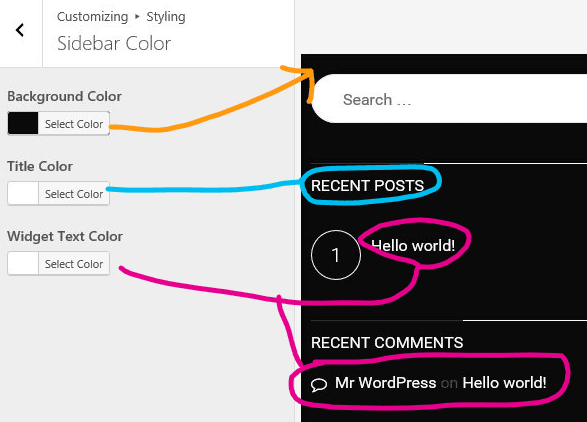 To change sidebar color, Click on Styling panel and then select Sidebar Color. Now from here you can change Sidebar BG, Title & Text color. by default howlthemes have Roboto font but you can change it with ease, open customizer now click on Typography panel and select Font Family tab. Primary Font– To change font of Header Title, Post Title, Sidebar Title, Footer title. Secondary Font– To change font of everything which Primary font doesn’t change. To add social media icons to sidebar, Click on Social Panel & start filling input box with your page URL. 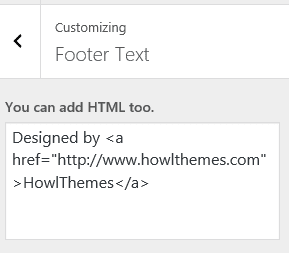 To change footer text & link, Click on Footer panel in Customizer & edit the HTML code. To add widgets to sidebar, Choose Widgets from Appearance menu. 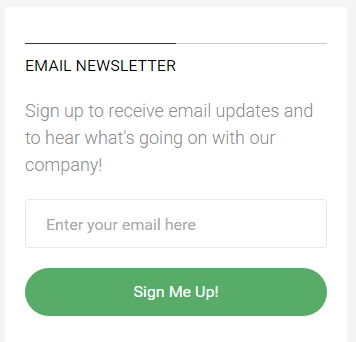 On Widget page you will see Email Newsletter widget in available widget list, drag it and drop it to sidebar. 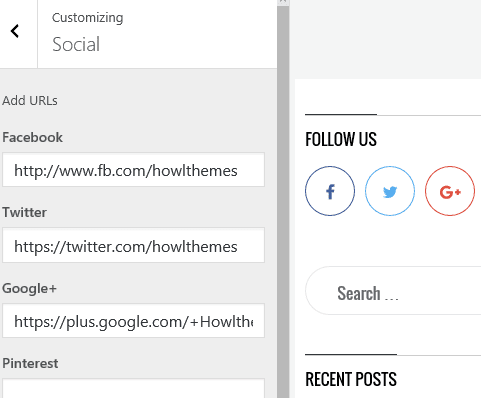 This is custom widget by howlthemes, currently it supports MailChimp, Aweber & Feedburner. Fill all the required fields and it should look something like below image on front-end of your site. 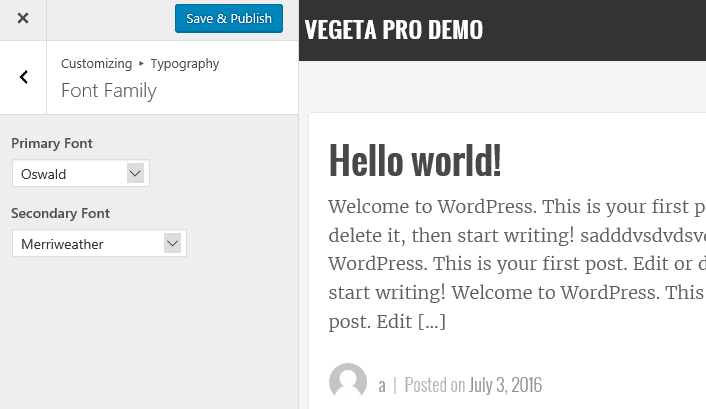 Adding widget to footer is same as widget to sidebar but you need to drag widget in footer section. While editing post you will see a meta-box in right sidebar with title “Featured Post”. Just tick the checkbox and that post will be automatically added in slider.